What's New For the 2019 Mercedes-Benz E-Class? The E-Class has received a number of updates and refreshes for the 2019 model year. Starting off with the exterior, the E-Class receives a new 19-inch AMG® wheel option as well as a Night Package and a Rear Safety Package. On the interior, the 2019 E-Class receives a new 3-spoke Nappa Leather multifunction steering wheel. With this new steering wheel, the driver will be able to operate all of the available driver assistance safety features while keeping their hands on the wheel. The 2019 E-Class is available in three trims. The E-300 offers the following standard features: ECO Start/Stop system, Dynamic Select Drive Selector, a 4-wheel multi link suspension, power front seats with memory, Dual-zone automatic climate control, 12.3-inch high-resolution central display, 3-spoke steering wheel with Touch Control Buttons, FrontBass system, Apple CarPlay, Android Auto, Voice control, 64-color LED ambient lighting, double sun visors, power-folding side mirrors, KEYLESS-START, illuminated entry system, HomeLink garage door opener, Analog gauges with high-resolution multifunction display, COMAND system with touchpad controller. 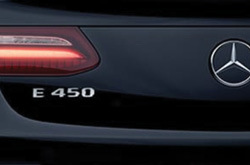 The E-300 4MATIC sedan offers many features found on the E 300 plus the 4MATIC all-wheel drive. 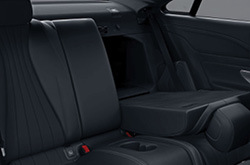 The top-of-the-line E-450 4MATIC sedan offers many of the features found on the E-300 4MATIC sedan plus Power front seats with memory. To create the ultimate luxury experience, all trim levels can be equipped with a number of available options. Available options include Active multicontour front seats with massage, 3-zone automatic climate control, 12.3-inch digital instrument cluster, Air Balance cabin-air purification system, Heated and ventilated front seats, Heated front armrests, power rear-window sunshade, Nappa leather upholstery, Head-Up Display, Burmester Surround Sound system, TuneIn Radio, In-car WiFi, Inductive wireless charging with NFC pairing, SiriusXM Radio with 6-month All Access trial and Pre Wiring for Rear Seat Entertainment and Comfort Adapter. The E-Class offers two powertrain options. On the E-300 and the E-300 4MATIC trims, there is a standard 2.0L inline-4 turbo engine that offers up to 241 horsepower at 5,500 rpm. 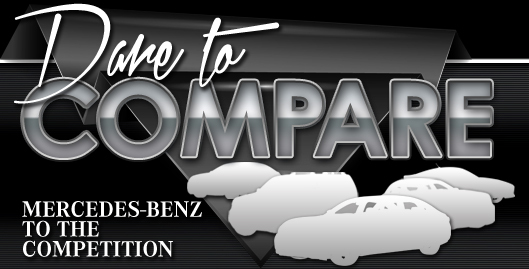 In 0 to 60 acceleration tests, the E-300 and the E-300 4MATIC were able to achieve a time of 6.2 seconds. For those who want enhanced performance, the E-450 4MATIC comes with a 3.0-Liter V6 Biturbo engine which offers up to 362 horsepower at 5,500 rpm. In 0 to 60 acceleration tests, the E-450 4MATIC was able to achieve a time of 5.0 seconds. The 2019 Mercedes-Benz E-Class offers a number of active and passive safety features. Each E-Class receives the following standard safety equipment: Car-to-X Communication, Active Brake Assist, Attention Assist, LED Daytime Running Lamps, LED headlamps and tail lamps, Crosswind Assist, Rearview camera, Adaptive braking technology, Anti Lock Braking System (ABS), Electronic Stability Program (ESP), Aluminum and high-strength steel body structure, Advanced Tire Pressure Monitoring System, SmartKey with KEYLESS-START, Anti Theft alarm system with remote panic feature, and Rain-sensing windshield wipers. For those who desire the ultimate peace of mind, there are a number of available safety features available. These optional safety features include Active Distance Assist Distronic, Active Steering Assist, LED Intelligent Light System headlamps, Adaptive High Beam Assist, Evasive Steering Assist, Active Blind Spot Assist, Active Lane Keeping Assist, Active Brake Assist with Cross-Traffic Function, Congestion Emergency Braking, Active Emergency Stop Assist, Blind Spot Assist, Active Speed Limit Assist, Extended Restart in Stop-and-Go Traffic, Rear Cross-Traffic Alert, 9-way airbag protection, Rear-seat Belt Bags and Rear-seat side-impact airbags. See and experience the 2019 Mercedes-Benz E-Class with a test drive.